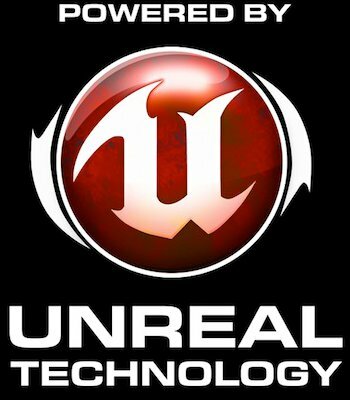 Epic Games has teamed up with Virtual Heroes, a firm specializing in interactive learning simulation software for the healthcare, federal and corporate markets, announcing a long-term agreement that will see their new Unreal Engine 3 technology used for law enforcement training purposes. That means the gaming engine behind Gears of War 3 and Mass Effect 3 titles is set to be used to assist with training of new recruits in various law enforcement agencies, including the FBI Academy. Virtual Heroes, a division of Applied Research Associates Inc, will be licensing the UE3 technology to various agencies of the US government, as well as their allies. The announcement also detailed that support for the game engine will be expanded for use in web browsers, as well as consoles and handheld devices. "We recognize the growing market needs of our government customers and are excited to have Virtual Heroes provide a full spectrum of focused services and support using our game engine technology," said Epic Games president and board member Michael Capps, who was also the lead programmer and producer of recruitment video game America's Army. UE3 will be used to build training tools like "multiplayer crime scene training simulations" for the FBI and other government agencies as part of a new project called the Unreal Government Network (UGN). "Virtual Heroes is committed to providing world-class support to our licensees to ensure that all UE3 solutions achieve the best possible results across multiple platforms," said Jerry Heneghan, founder of Virtual Heroes. He continued, "our technical and creative staff is uniquely qualified to provide a new standard of responsive, personalized service to government customers worldwide." More information including the latest UE3 features available for developers is set to be revealed by representatives of both companies at the Defense GameTech Users’ Conference, which is currently ongoing in Orlando, Florida.